The feminine-care brand was the first to depict real period blood in an ad campaign. 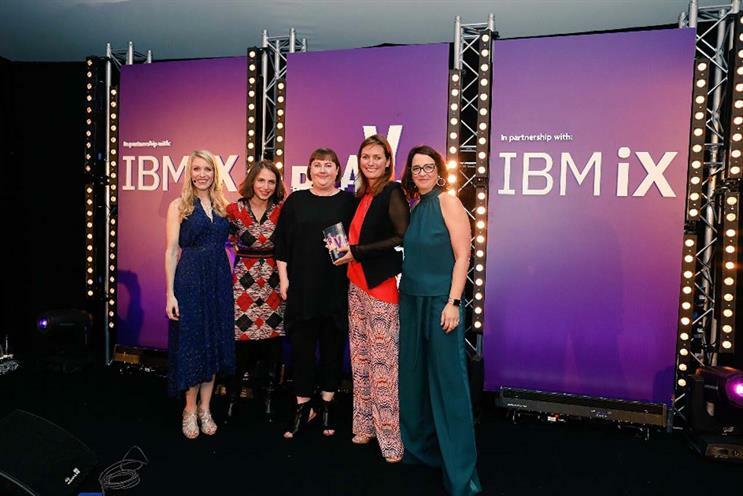 Members of The Marketing Society voted Bodyform as its Brave Brand of the Year, in association with Campaign and sponsored by IBM iX, at its annual dinner at Lord’s cricket ground last night. The award follows the brand picking up the Grand Prix, marketing communications and purpose-driven brand accolades at The Marketing Society Excellence Awards earlier this year. Bodyform won a vote of more than 500 senior marketers from a shortlist of five brands, with the others being the Army, Skittles, Sky and Ugly. They had been chosen from an initial list of 20, which also included heavyweights such as Tesco, Lloyds Bank, Nike and Lego. Bodyform’s 2017 campaign, "Blood normal", created by Abbott Mead Vickers BBDO, broke new ground in advertising by being the first campaign to depict real menstrual blood, rather than the blue liquid generally shown in feminine-care ads. The campaign picked up the Glass Lion Grand Prix at Cannes this year.